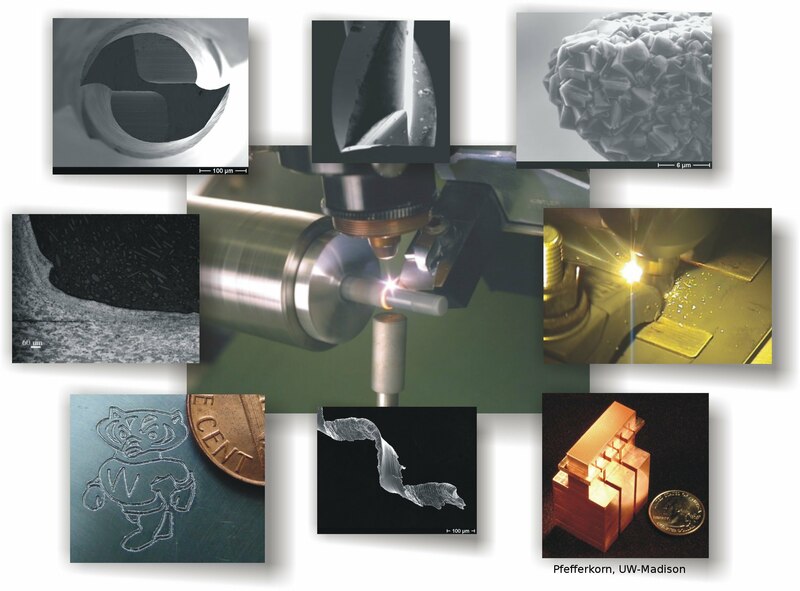 The Laser-assisted Multi-scale Manufacturing Laboratory (LAMSML) . . . Helps move advanced manufacturing processes from arts, to science-based technologies that benefit industry. Is actively advancing our understanding of friction stir welding, laser polishing, cryogenic machining, additive-subtractive manufacturing, and micro end milling. Provides fundamental knowledge and answers that will help industry. Educates manufacturing heat transfer engineers. Investigates the addition, generation, and removal of heat in novel manufacturing processes. Has fun conducting cutting-edge research. Mechanical Engineering students who are interested in projects related to LAMSML research should contact Prof. Pfefferkorn at frank.pfefferkorn@wisc.edu. Prof. Pfefferkorn presented research and manufacturing education activities at the 2018 Machine Tool Technology Research Foundation’s annual meeting. Eck Industries has developed a new high-strength aluminum alloy. The tests were conducted at Fives Giddings & Lewis by UW-Madison researchers.